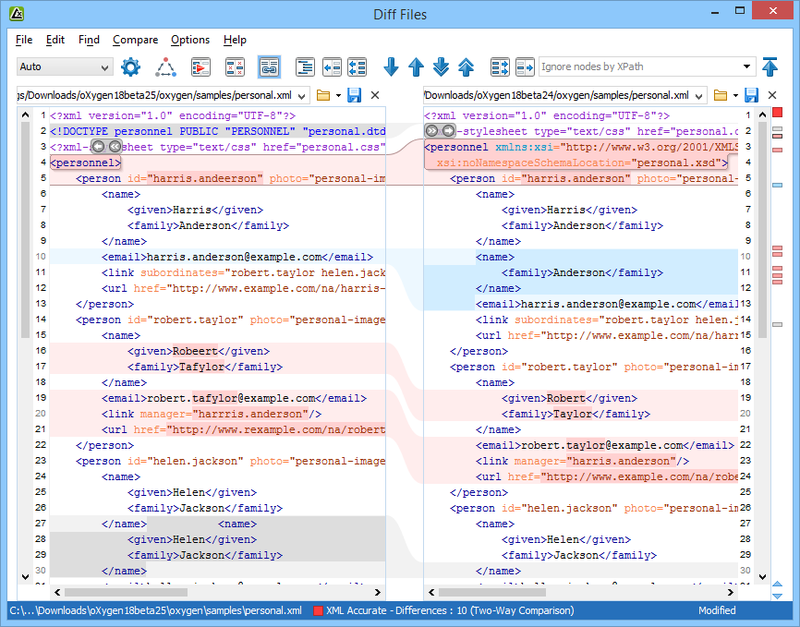 The inserted sections in the left side are shown in gray, while the ones from the right side are rendered in light blue. The modified sections are red. Using the buttons from the toolbar you can merge the differences from one side to the other.